Are you one of the iPod people, crazy about iPod music, videos or TV shows? Do you relax yourself and keep your mood with attractive audios and videos? However, because iPod has too much limitation on the formats, sometimes it cannot play our favorite video and audio. As iPod lovers, we all wish iPod could have ability to read more file formats. Don’t worry, Mac video converter comes for rescue.We can convert all kinds of video format to MPEG-4 and H.264 that suit for iPod series, including ipod NANO, touch and classic. 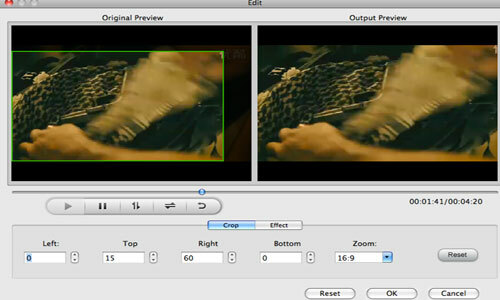 such as convert avi to iPod, and of course it is the best mov to mpeg4 converter. Now please read the tutorial and begin convert movies to iPod. 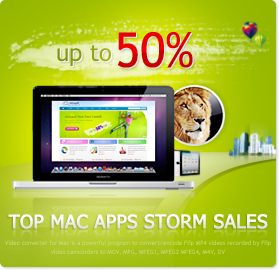 Step 1, free download Mac video converter (the latest version 3.3.9) and install it. The one your bought will be the latest version with no feature limitation. Step 2, Load video files. Please click “Add file” button to load the video files you need. The batch conversion capability will help you convert your files at one time and save your precious time. Click the triangle before settings, you get a small window below, and choose the output format you need. 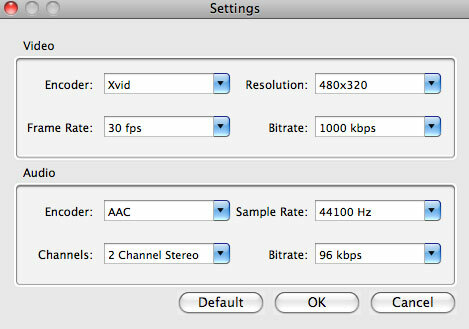 Step 3, click “Setting” to modulate tune for your video so that it could meet your need. You can select encoder, resolution, frame rate and bite rate for you video. Click OK to restore it. Step 4,Edit and trim, which is optional. click Edit button to edit your outputted video. You can crop the unwanted edge and check the effect including brightness, contrast, and saturation. When you set this, you can control according to the contract between original and output preview. If you need to add some effects to the video like Gray, Old film, Emboss or view the video in horizontal or vertical way, effect setting will satisfy all your need.Click OK to finish it. 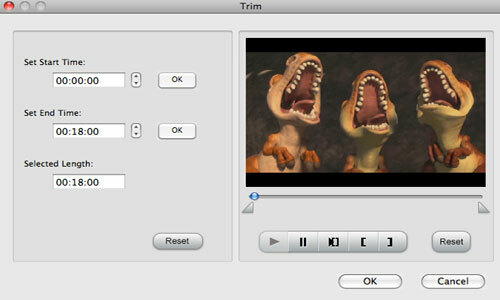 Click Trim button to set the start time and the end time of the video to get a specific length to be converted. When you preview the video, you can click the Camera button to get some beautiful photos. It’s very convenient. Step 5, choose your destination road for your outputted video.Please click Convert button and start to convert. The time it takes will be decided by the files you convert. Wait for a while, and you can enjoy your film or interesting shows at will.